Selecting the best nursing school in Oklahoma can be difficult. To make the process easier first look for a school that supports students towards licensure and beyond. A great way to measure this is through NCLEX-RN "pass rates." We have ranked the top 20 nursing schools in Oklahoma by analyzing current and historical NCLEX-RN "pass rates", meaning the percentage of graduates who pass the exam, out of the 43 RN programs in the state. Programs reviewed include schools that offer an Associate in Nursing (ADN/ASN), BSN, or Direct-Entry MSN Degree. Quality patient based care is where Oklahoma is pushing their health care system, with the help of nursing staff that are gaining higher education and professional development. Programs for all different levels of nursing degrees are abundant in the state. With an average salary of $59,040 for Oklahoma registered nurses (per the Bureau of Labor Statistics), it's a career path worth considering. Thinking of becoming a registered nurse, but have time or budget constraints? An Associate's Degree in Nursing (ADN) might be the ideal path. This nursing program lasts only 2 years, making it great for those who want to enter the healthcare workforce sooner. It also tends to be a more affordable route to an RN, as it's typically offered at local junior and technical colleges. There are over 18 schools in the state with board-approved ADN programs. Looking at a school and program's accreditation is a great way to check for quality. Any decent ADN program should have accreditations at the national level by organizations like the Accreditation Commission for Education in Nursing (ACEN) and/or the American Association of Colleges of Nursing's Commission on Collegiate Nursing Education (CCNE). It should also be approved locally by the Oklahoma State Board of Nursing. Upon completing your ADN program, you'll need to take and pass the National Council Licensure Examination (NCLEX) so that the Oklahoma State Board of Nursing can issue your RN license. Therefore, it's a good idea to do a little research into your preferred program's curriculum to ensure that it will prepare you to pass this exam. The American Association of Colleges of Nursing reports that 2,049 people took the NCLEX for the first time in 2015, and 85.7% of new nurse grads who took the test received a license. An example of a school in Oklahoma that offers a properly accredited ADN program is Murray State College, located in Tishomingo, OK. The cost of an ADN program in the state boils down to a few main things. The first, tuition, is the main cost you'll need to focus on. The next thing you'll need to budget for is additional expenses, things like textbooks, lab fees, background and drug screenings, and other miscellaneous fees. When looking at your program of choice's costs, be sure to note whether or not it includes extra fees in the tuition cost. As an example, the full cost for the ADN program at Rose State College in Midwest City, OK, is approximately $13,684. Many nursing students choose an ADN program as their preferred route to becoming an RN due to the shorter time frame, affordable cost, and accessibility of schools that offer it. An ADN can be earned in half the time it takes to get a BSN, meaning that you can be earning money and gaining experience in the field before those in longer programs are even done with their schooling, which can be very attractive. These programs are also widely available, even in less urban areas, making it easy to find one in a convenient location. For those wanting a traditional 4-year degree, a Bachelor's of Science in Nursing (BSN) is an excellent option. This program is typically offered at larger universities, and will allow a graduate to receive more advanced nursing careers and an increased annual salary. A traditional BSN is not the only option, though; if you already have a bachelor's degree in another field, some schools offer accelerated BSN programs. And current registered nurses can enter a shortened RN to BSN program in order to advance their careers. Over 12 schools throughout the state offer board-approved BSN programs. It's essential to ensure that the BSN programs you look into have things like proper accreditation, favorable program outcomes, and are in a convenient location. Cost is also a big factor, so be sure to carefully compare schools. The University of Tulsa is one Oklahoma school that offers an accredited BSN program. A traditional BSN program typically lasts 4 years. For those who already hold a bachelor's degree, there are accelerated programs that can be finished in roughly 16 months. For an RN to BSN program, you can expect about 2 years from start to finish. The costs associated with your earning your BSN can be stressful. You'll need to consider tuition, textbooks, uniforms, lab fees, and more. One of the smartest things you can do before deciding on a program is to break down the required costs so that you can budget appropriately. As an example of cost, Oklahoma City University charges $13,638 per semester to earn a BSN. BSN programs are great for those interested in earning a healthcare degree at a 4-year university. Upon graduating with a BSN, you will have the advantage of being eligible for more advanced nursing jobs with higher amounts of responsibility and job growth. These nursing careers typically pay more as well. The other great thing about a BSN is the variety of programs available to help you earn it at any stage, including accelerated and RN to BSN programs. 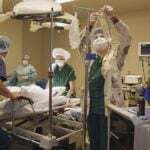 Those wanting even more advanced nursing careers can earn a Master's of Science in Nursing degree (MSN). An MSN is needed for jobs such as Clinical Nurse Specialist, Certified Nurse Midwife, and Nurse Practitioner, among other specialties. The earning potential with this degree is much higher than with undergrad nursing degrees. There are a handful of MSN programs in the state of Oklahoma. Because they are designed for busy working nurses, MSN programs can vary a bit in length. Generally, you can expect them to last 2-3 years. Some schools will offer the option of night classes, online classes, or other flexible scheduling. Like ADN and BSN programs, you'll want to carefully consider the costs of your preferred MSN program, which will include things like tuition, books, lab fees, and more. To give you a better idea, tuition at the MSN program at the University of Oklahoma which has campuses in Tulsa, Oklahoma City, and Lawton, will run you roughly $13,557.20 if you are an Oklahoma resident. 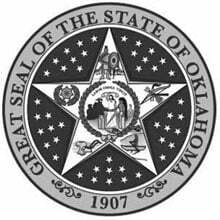 Candidates looking to obtain nursing licensure by examination or endorsement in the state of Oklahoma should include the following documentation with their application. Upgrading your education can be a daunting thought, unless you look into accelerated programs. There are several programs offered within the state of Oklahoma that can make the transition quick. Accelerated BSN programs in the state average about 12 months in length, keeping in mind that these programs are full-time studies, on campus and run consecutively with clinical hours, making them intensive, but attainable. Most programs have required entrance courses that you would have to complete before the start date of the degree program, these courses will affect the overall time frame. Overall costs vary with regard to each individual program, so it would be recommended to look into fees at the specific colleges. University of Oklahoma - Tulsa College of Nursing is home to one of the largest degree programs offered. Whether it be a BSN, MSN or doctoral program, multiple pathways are offered at OU from well-trained and respected faculty members. Follow the link to learn more about the University of Oklahoma - Tulsa nursing program. Eastern Oklahoma State College is located in the small town of Wilburton, Oklahoma. Patient-centered nursing, with theoretical and clinical practices in community settings, makes for a well-rounded, sought-after nursing professional. Check out the official Eastern Oklahoma State College - Wilburton nursing program. Exemplary theoretical and practical methods are provided to BSN students of Southwestern Oklahoma State University by seasoned faculty members. Graduates from one of the best nursing programs in the state, can be found at SWOSU. Get all the program details by visiting the Southwestern Oklahoma State University website. Shawnee’s Oklahoma Baptist University offers a BSN program that incorporates arts, sciences, and a Christian worldview. Students take nursing common core classes, flex core classes, specialty nursing courses, and more as part of the curriculum. Upon graduating, students go on to become RNs in hospitals and other care facilities, or they can continue their education at the graduate level. Follow the link to learn more about the Oklahoma Baptist University nursing program. Oklahoma City Community College is ready to fulfill the demand for nurses by offering three different pathway options: Traditional, Career Ladder, and Baccalaureate to Associate Degree Accelerated Nursing Pathway. Nurses graduating from these programs are ready to accept employment opportunities immediately upon graduation and licensure as a RN. Get all the program details by visiting the Oklahoma City Community College website. Experienced faculty, proven theoretical and practical methods can be found in all of the nursing degree programs offered at University of Oklahoma - Oklahoma City College of Nursing. Graduates from these programs can expect immediate placement within the field. Get all the program details by visiting the University of Oklahoma - Oklahoma City website. The Department of Nursing at University of Central Oklahoma - Edmond understands the unique needs of their students by offering a multitude of degree options. Being taught by seasoned faculty members makes graduates ready for licensure right after graduation. Get all the program details by visiting the University of Central Oklahoma website. Oklahoma City’s Oklahoma State University offers an associate in applied science degree in nursing that is both board-approved and accredited. This competitive program consists of 72-credit hours of classroom lectures, laboratory instruction, and supervised clinical experiences. Graduates of the program are well-prepared to take the NCLEX-RN exam to obtain official licensure as an RN. Learn more by visiting the Oklahoma State University nursing website. Eastern Oklahoma State College, located in Idabel, boasts an affordable and accessible ADN program. Students can complete the program in just 2 years of full-time attendance. The program emphasizes a strong student-teacher relationship to help promote the development of critical thinking skills, communication, and other important nursing traits. Check out the official Eastern Oklahoma State College - Idabel nursing program. Rogers State University is located in the beautiful hills and valleys of the city of Claremore, Oklahoma. Whether taking the BSN or AAS, students are challenged with rigorous theoretical and practical learning experiences, from exemplary faculty. 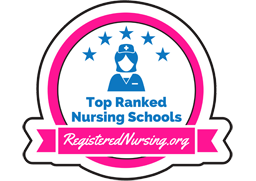 Learn more by visiting the Rogers State University nursing website. Located east of Oklahoma City in the town of Midwest City, you will find the nursing department on the sprawling 120-acre campus of Rose State College - Midwest City. The Nursing Science Program is a need-based philosophy that has graduates accepting employment right after professional licensure. Learn more by visiting the Rose State College nursing website. Stillwater’s Northern Oklahoma College trains the next generation of nurses through their associate’s degree program, which has been offered at this location since 2002. This board-approved and ACEN-accredited program is delivered via interactive television and onsite live instruction. Graduates are prepared to deliver safe, competent, and compassionate nursing care. Get all the program details by visiting the Northern Oklahoma College - Stillwater website. The McAlester campus of Eastern Oklahoma State University offers an ACEN-accredited ADN program. The curriculum consists of coursework that aims to prepare students to provide and manage quality nursing care for patients. An emphasis on holistic nursing care and patient advocacy set this program apart from the rest. Get all the program details by visiting the Eastern Oklahoma State College - McAlester website. Small class sizes that allow for individualized attention can be found in the nursing department at Connors State College - Muskogee. Modern technology and partnerships with community facilities makes CSC Nursing department stand out from the rest. Learn more by visiting the Connors State College nursing website. Poteau, Oklahoma is home to Carl Albert State College and is located in the picturesque valley below Cavanal Hill. CASU nurses are thought to be of high quality and are sought-after in the nursing field. Graduates from this university are highly regarded. Learn more by visiting the Carl Albert State College - Poteau nursing website. Sallisaw is known for its majestic green hills and is home to Carl Albert State College - Sallisaw campus. On campus, top ranked students taking the nursing program courses from highly regarded faculty members. Follow the link to learn more about the Carl Albert State College - Sallisaw nursing program. University of Tulsa Department of Nursing boasts a program built on being on the cutting-edge of the healthcare field. The program provides the latest teachings and practical simulations in the nursing field. Check out the official University of Tulsa nursing program. Located in the city of Woodward, Oklahoma on the eastern edge of the Oklahoma - Texas Panhandle, Northwestern Oklahoma State University is ranked as one of the top universities in the field. Opportunities await in for post-degree nurses. Follow the link to learn more about the Northwestern Oklahoma State University - Woodward nursing program. The Tonkawa campus of Northern Oklahoma College offers an ADN pathway for potential registered nurses, as it has since the program’s inception in 1971. The faculty fosters life-long learning by encouraging personal interaction and utilizing innovative technologies. Graduates are able to provide safe, compassionate care to patients both old and young. Follow the link to learn more about the Northern Oklahoma College -Tonkawa nursing program. Bartlesville’s Rogers State University offers an ADN bridge program for current LPNs and paramedics to cross over into registered nursing. Traditional classroom courses, distance learning, and online options are all available as part of the program. Enrolled students also have access to scientific labs and clinical rotations at area healthcare facilities. Get all the program details by visiting the Rogers State University - Bartlesville website.